NEW: Starting March 1, 2016, CMQ will be part of Taylor & Francis online. You’ll still be able to access et a complimentary articles. 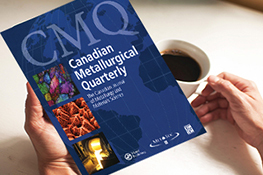 The Canadian Metallurgical Quarterly is one of the most cited publications of its kind in the world. Devoted to the science, practice and technology of metallurgy, this journal provides a forum for the discussion and presentation of both basic and applied research developments in the area of metallurgy and materials. Subscribe with your dues notice or visit the website for subscription rates. Paper “Influence of thermal diffusion on decarburisation of iron–chromium alloy droplets by oxygen–argon gas mixtures,” has been selected as the Best Paper for the Canadian Metallurgical Quarterly by MetSoc at the 2016 Awards Gala. Written by P. Wu, Y. D. Yang, M. Barati & A. McLean, the CMQ publishes original contributions on all aspects of metallurgy and materials science. Certain Canadian Metallurgical Quarterly articles are published online ahead of an issue as first proofs. They are fully citable using the journal name and article DOI. Any corrections which authors make to their proofs will be applied before the article is published in an issue. 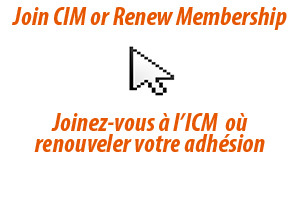 For subscription rates or to access more CMQ free downloads , click here!